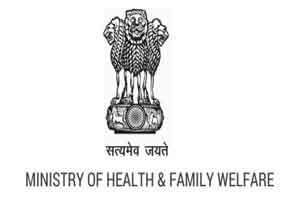 The Centre is giving thrust on providing affordable health care facilities to all sections of society, Union Minister Shripad Yesso Naik said. Naik, while addressing the inaugural session of a two-day national seminar on “Ethno-Medicinal Practices in Andaman & Nicobar Islands: Scope, Limitation & Prospective”, said: “I want to assure the gathering that we are working to meet the vision of the Prime Minister and moving forward with dedication to improve health facilities in the country”. The Union Minister of State for AYUSH (Independent Charge) said the Centre is committed to propagating AYUSH system in the field of health care and treatment and moving in the right direction to achieve the goal. “It’s a matter of great pride that our country occupies a special place in the traditional system of medicine in the world. India is one among the 17 countries in the world having rich biodiversity where different kinds of medicinal plants exist,” he said. The minister also underscored the Centre’s commitment in providing medicines at reasonable prices and creation of better health infrastructure facilities. The function was organised by the Regional Research Centre of Ayurveda (RRCA), a unit of Central Council for Research in Ayurveda Science, the Ministry of AYUSH. The Union minister also appreciated the research work done by the CCRAS since its inception in 1978. The Regional Research Centre of Ayurveda in Andaman & Nicobar Islands is working on two projects “tribal health care and research” and “medicinal plant survey”.